Lieutenant Commander Patrick Neison Lynch Bellinger, United States Navy. 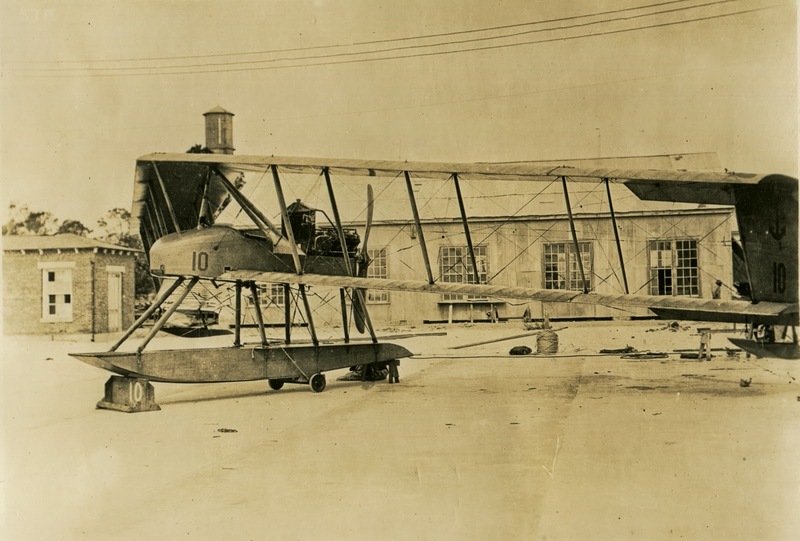 23 April 1915: Lieutenant Patrick Neison Lynch Bellinger, United States Navy, flew a Burgess-Dunne hydroaeroplane to an altitude of 10,000 feet (3,048 meters) over Pensacola Bay, Florida. Homolgation of the altitude record made by Lieut. 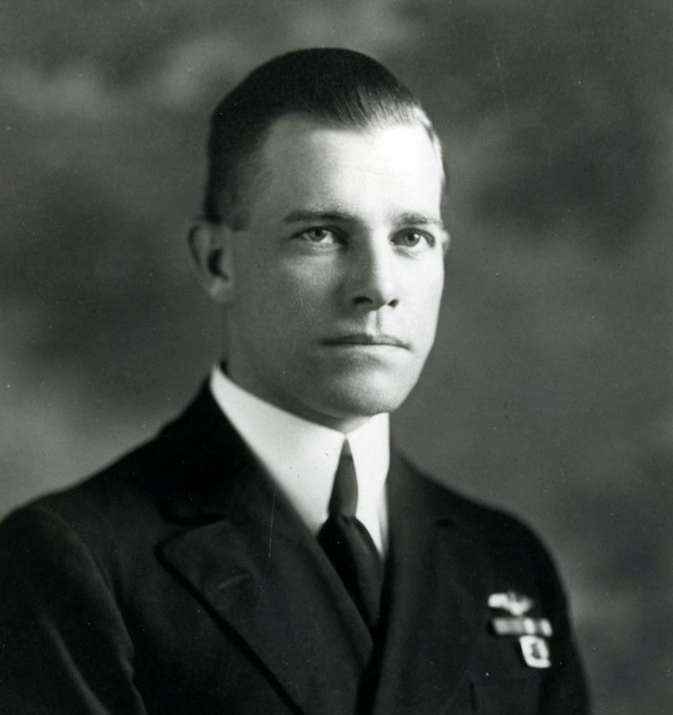 P. N. L. Bellinger at Pensacola Bay, Fla., on April 23rd last has been officially recognized and awarded as follows: American altitude record, aviator alone, hydroaeroplane, 10,000 feet. This height was reached in one hour, nineteen minutes. It is interesting to note the climbing record in connection with this flight, 6,000 feet being attained in 24 minutes and 8,000 feet in 41 minutes. The Burgess-Dunne Model BD-5, U.S. Navy serial number AH-10, was a licensed variant of the British Short Brothers-built Dunne D.5. The configuration was designed by Lieutenant John William Dunne, F.R.Ae.S., and was based on his observations of the Roemer’s Alsomitra macrocarpa seeds, although his design essentially reversed the aerodynamic features of the seed. The seed or samara of this species is unusual in having two flat bracts extending either side of the seed to form a wing-like shape with the seed embedded along one long edge and the wings angled slightly back from it. As the seed ripens the wings dry and the long edge furthest from the seed curls slightly upwards. 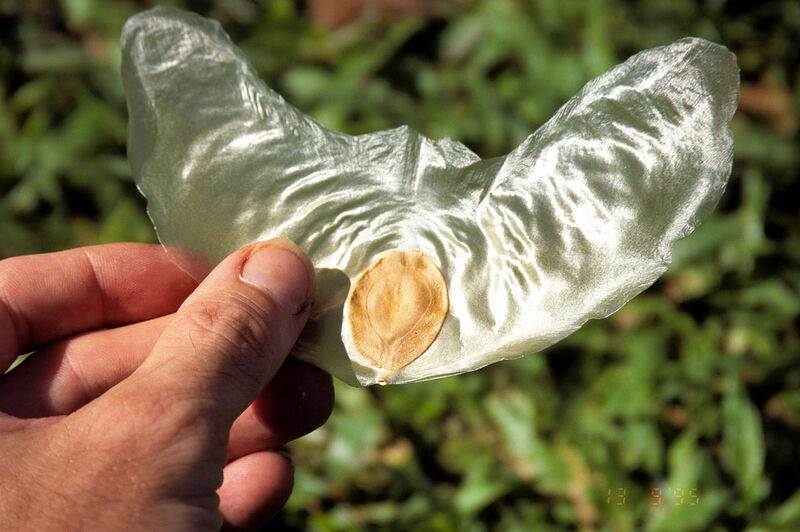 When ripe, the seed drops off and its aerodynamic form allows it to glide away from the tree. The wing spans some 13 cm and can glide for great distances. The seed moves through the air like a butterfly in flight — it gains height, stalls, dips and accelerates, once again producing lift, a process termed phugoid oscillation. In the past it was often found on the decks of ships at sea. The seed’s relative stability in pitch and roll inspired Igo Etrich, a pioneer of early aviation. The contemporary pioneer J.W. Dunne also studied the seed but discarded it as inspiration because it was not directionally stable. The BD-5 was a two-place, single-engine, four-bay biplane with a single pontoon and wingtip-mounted floats. The wings were swept 30° and the lower wing was staggered significantly behind the upper. Both wings had anhedral, and the upper wing had slightly more area and a negative twist. There was no tail, rudder or elevators. The ailerons also acted as elevators. The design was very stable and it could not be forced into a stall. The Burgess-Dunne was 24 feet, 8 inches (7.518 meters) long, with a wingspan of 46 feet, 0 inches (14.021 meters). The wings have a chord of 6 feet, 0 inches (1.829 meters) vertical gap between the wings was 6 feet, 0 inches (1.829 meters). The total wing area is 545 square feet (50.63 square meters). The airplane’s empty weight was 1,450 pounds (658 kilograms), and it had a gross weight of 1,700 pounds (771 kilograms). The pontoon had a single hydrodynamic step. It was 17 feet, 8 inches (5.385 meters) long, 3 feet, 1 inch (0.940 meters) wide and had a maximum depth of 1 foot, 2 inches (0.356 meters). 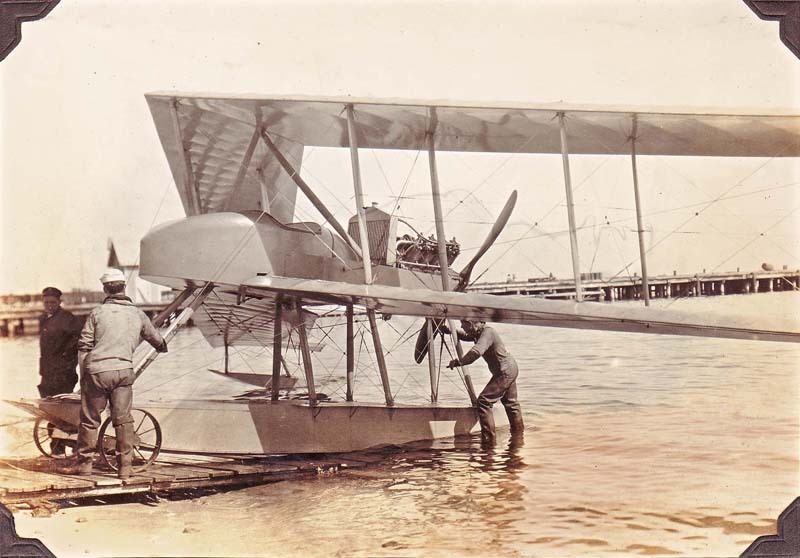 The airplane was powered by a water-cooled, normally-aspirated 567.450-cubic-inch-displacement (9.299 liter) Curtiss OXX-2 overhead valve 90° V-8 engine with dual ignition. It had two valves per cylinder, a compression ratio of 4.92:1, and produced 100 horsepower at 1,400 r.p.m. The OXX-2 was a direct-drive engine and turned a two-bladed, 8 foot (2.4 meter) diameter propeller in a pusher configuration. The Burgess-Dunne had a fuel capacity of 22 Imperial gallons (100 liters) and carried 4 gallons (18 liters) of lubricating oil. 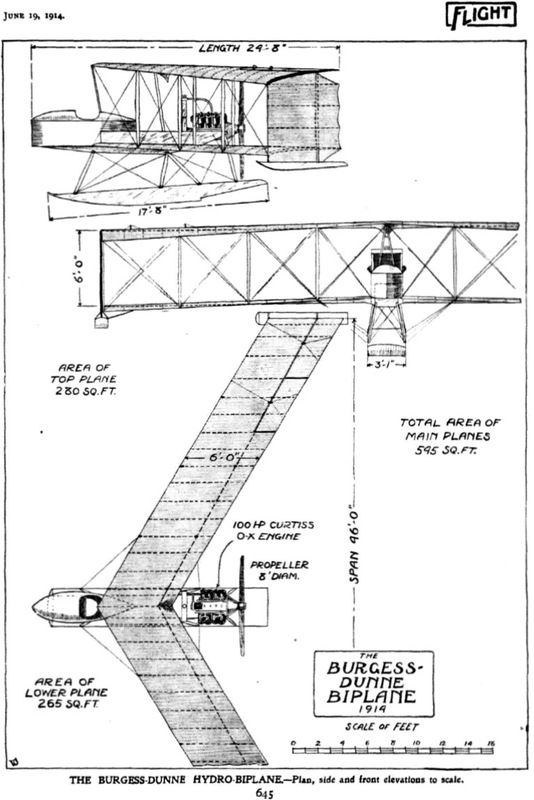 During flight testing, the Burgess-Dunne Hydroaeroplane averaged 58.75 miles per hour (94.55 kilometers per hour) ground speed over a triangular course with a 10 knot wind (11.5 miles per hour, or 5.4 meters per second). One Burgess-Dunne had been ordered by the Navy on 5 December 1914. The cost was $5,000.00, less engine. It was delivered in April, 1915. After being flown to the altitude record, AH-10 was used for artillery spotting at Fort Monroe, Virginia. It was the first U.S. Navy aircraft to be armed with a machine gun, a .30-caliber Benét-Mercié machine rifle, and bomb racks. Patrick Neison Lynch Bellinger was born 8 October 1885 at Cheraw, South Carolina. He was the son of Carnot Ambrose Bellinger and Eleanor Lynch Bellinger. A 1907 graduate of the U.S. Naval Academy, Annapolis, Maryland, he served at sea aboard the battleship USS South Carolina (BB-26) before being assigned as captain of the C-class submarine, C-4 (SS-14). He was then assigned to aviation. 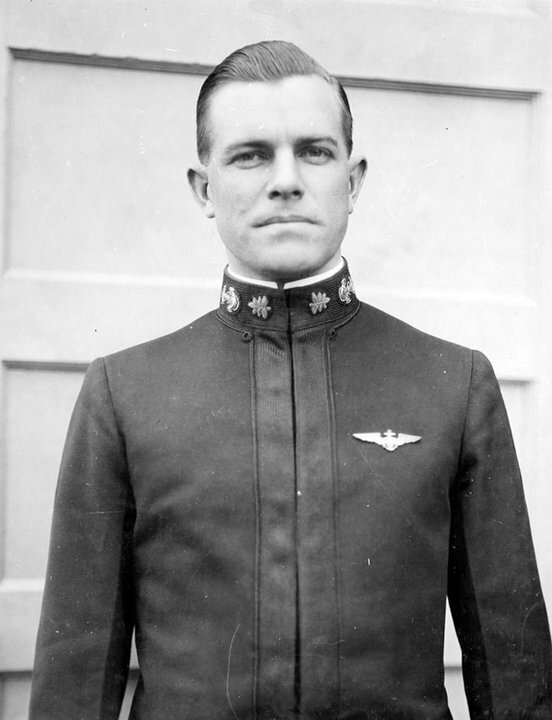 Lieutenant Bellinger was Naval Air Pilot No. 4. 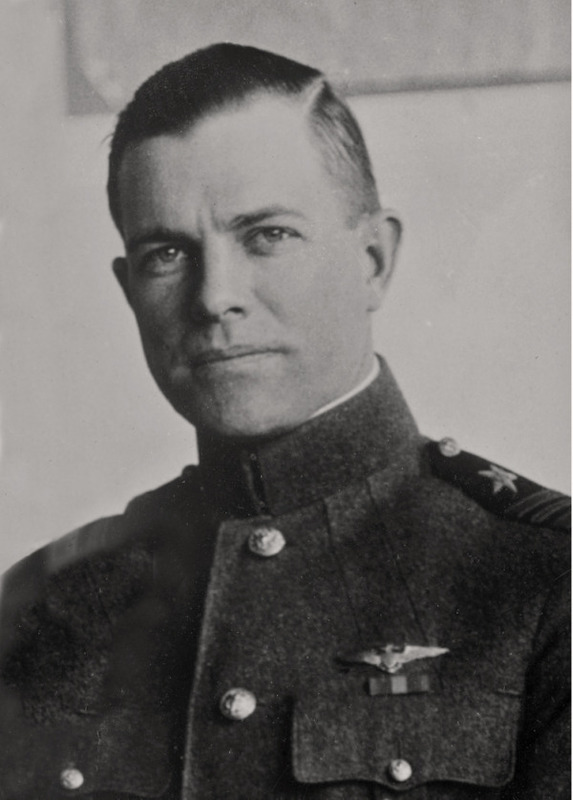 During the Veracruz campaign, 1914, Lieutenant Bellinger flew reconnaissance over enemy lines. It was here that a United States military airplane first came under enemy fire. He was nominated for the Medal of Honor for his actions there. Lieutenant Commander Bellinger, United States Navy, circa 1919. Lieutenant Commander Bellinger married Elsie McKeown of Pennsylvania, 24 July 1915. She died at Washington, D.C., 9 February 1920. He married his second wife, Miriam Georgia Benoist, 14 April 1921. 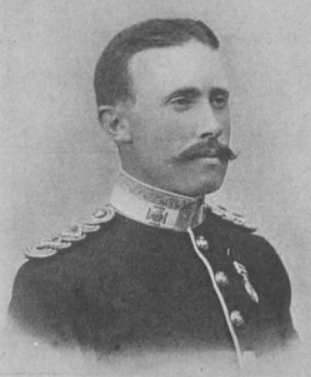 Bellinger progressively rose in rank and responsibility. As rear admiral, he commanded Patrol Wing 2 at Pearl Harbor at the time of the surprise attack by the Imperial Japanese Navy. During World War II, he was promoted to the rank of Vice Admiral and served as Commander Air Force, Atlantic Fleet. Vice Admiral Bellinger retired from the Navy in 1947. Vice Admiral Patrick Neison Lynch Bellinger, United States Navy (Retired), died 29 May 1962 at the Chesapeake & Ohio Hospital, Clifton Forge, Virginia. He is buried at the Arlington National Cemetery. Bryan – you called him Lieutenant Dunne in the first paragraph. You might want to fix that. Love the articles you come up with keep up the good work. Especially like the World War 1 and between war periods.